One of the most important parts of college is making sure you are safe at all times. You may have night classes on campus. You may think to yourself that you're going to avoid night classes throughout college, but unfortunately you may not have a choice depending on when the class is offered. That means you're going to be walking through a large college campus at night. You're going to need some dorm essentials to take with you when you're out on campus, such as flashlights and other dorm essentials. From pepper spray to jogger alarms, DormCo has got you covered with dorm safety dorm items. Stay safe with this Fire Gone - Fire Suppressant for your dorm room. This Pepper Spray Perfume Lipstick is a cool dorm product and a college necessity. 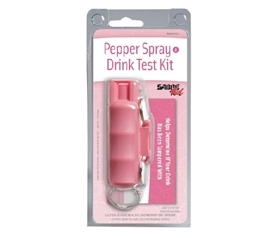 Protect yourself at college and have dorm items on hand to keep you safe such as our dorm essential Pepper Spray and Drink Test Kit. 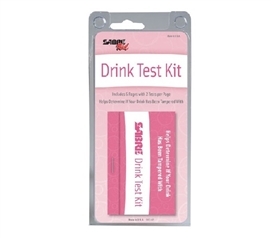 Stay safe while going out at night with friends with our Drink Test Kit that detects the presence of Ketamine and GHB in beverages! Stay safe while walking on campus and going out at night by having our Personal Alarm Portable Dorm Security and Safety on you at all times. The extra loud alarm draws attention to where you are and scares away attackers. 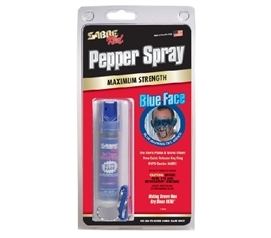 Stay safe while at college and don't go out without our Blue Face Pepper Spray! 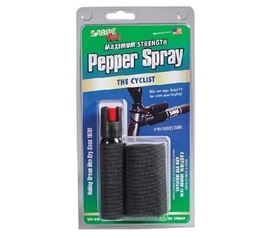 Make sure your protected in college even as you're riding your bicycle with our Cyclist Pepper Spray with Bike Strap! Stay safe on campus by carrying our Tactical Pepper Gel with Flip Top and Belt Holster with you at all times. 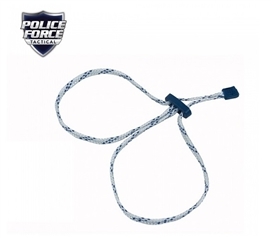 Keep compact, discreet personal dorm safety items with you at all times on and off campus. Our ROBOCOPP Grenade Personal Alarm has an ambulance loud 120 dB siren that goes off for 30 continuous minutes to alert others to your situation and deter attackers and wild animals. Protect yourself with this college essential Pepper Spray. This DeFuser Pepper Spray - Key Chain is for your dorm survival kit. Keep your phone, cards, and other dorm accessories close by with our FUPA Pouch®. Protect yourself while walking on campus at night with our Personal Dorm Safety Horn Alarm. Have peace of mind in your college dorm room and while walking alone at night with our Single Use Personal Safety Quick Cuff. This College Metal Baton is a dorm room must have. Don't go to college without some dorm safety college supplies in your dorm essentials list. There are going to be times that you are walking on campus at night. The best way to be prepared for college is to have comfortable dorm bedding and other dorm room decor items but being prepared for college also means having a good supply of dorm safety dorm items. From pepper spray to fire extinguishers and roadside emergency kits, we've got you covered with the dorm essentials to keep you safe.